One hour by train or car from Toulouse, from Castres or Rodez, it's easy to come in Albi. Use the wiki if you have seats in your car or if you want to join a group. 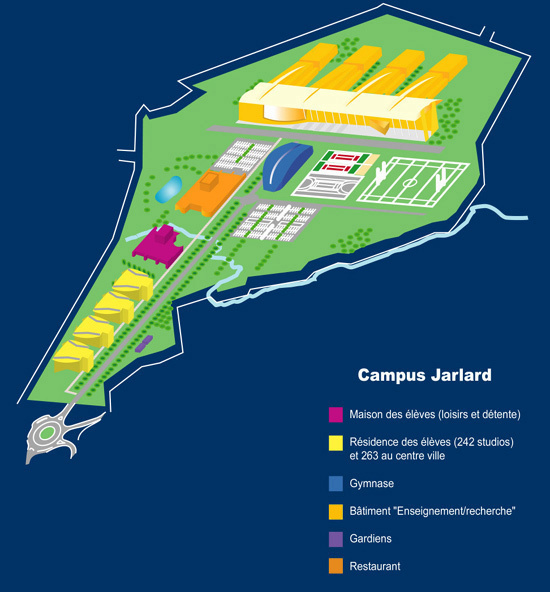 Shuttle Blagnac/Albi, you need to book at +33-534 508 900. Commercial flights from/to Paris and Lyon (weekdays only). From Castres to Albi, around 50min by RN 112. Commercial flights from/to and to Paris (Orly airport). From Rodez to Albi, around 1h20 by RN 88. The TGV (high speed train) arrives in Toulouse-Matabiau station from Paris (via Bordeaux) or from Lyon (via Montpellier). 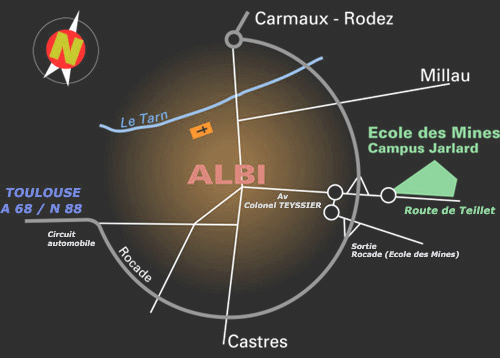 There are connections from/to Albi-Ville station (4 to 6 trains a day, each directions). Drive highway A68 (from Toulouse), RN 112 (Castres), RN 88 (from Rodez) or D999 (from Millau). On the ring and in the city, follow the signs to the école des mines. La conférence aura lieu dans le bâtiment enseignement-recherche. Il y aura un fléchage pour indiquer le chemin.